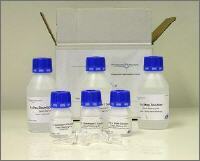 FireSilver staining kit FireSilver is a MS compatible silver staining kit. 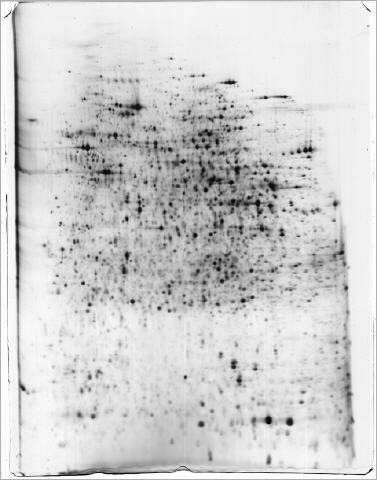 The staining is very sensitive, results in low staining background and is highly compatible with subsequent protein identification by nanoLC-ESI-MSMS and MALDI-TOFTOF-MS.
FireSilver is a MS compatible silver staining kit which was specially developed and optimized for high sensitive staining of protein spots and bands from 2DE and SDS-PAGE for subsequent protein identification analysis by mass spectrometry. Proteome Factory’s proteomics lab uses very successful FireSilver as its standard silver staining for proteomics studies, 2DE and SDS-PAGE in combination with protein identification by nanoLC-ESI-MSMS or MALDI-TOFTOF-MS.
FireSilver’s application is easy and results in cost reduction and saving of time together with significantly improved sensitivity in protein identification from 2DE gels and SDS-PAGE.